During its 50 years as a healthcare provider, Spectrum has developed strong collaborative relationships with many major institutional health care systems throughout the city. These collaborations with its institutional partners ensure that its patients receive the coordination of care that effectively addresses their medical needs. The occasion was celebrated at the Crystal Tea Room with networking, a delicious menu, and music. It was a good time had by all who came together and celebrated each other’s achievements. “I am especially excited to be able to lift up the work of the Community Gems that we are honoring. All of our Gems represent colleagues, friends, and supporters of Spectrum who have toiled tirelessly in their respective fields of work to make every neighborhood of Philadelphia a viable place to live and work”, said Phyllis B. Cater, Spectrum’s President and CEO. PIDC was proud to have its own Marla Hamilton included in this esteemed group. 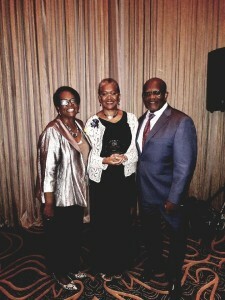 Marla’s work in the community and exceptional representation of PIDC is deserving of this recognition. 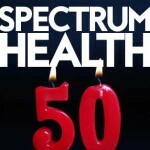 Click here to view a short video highlighting Spectrum Health’s 50th Anniversary and check out the photo gallery from the celebration.